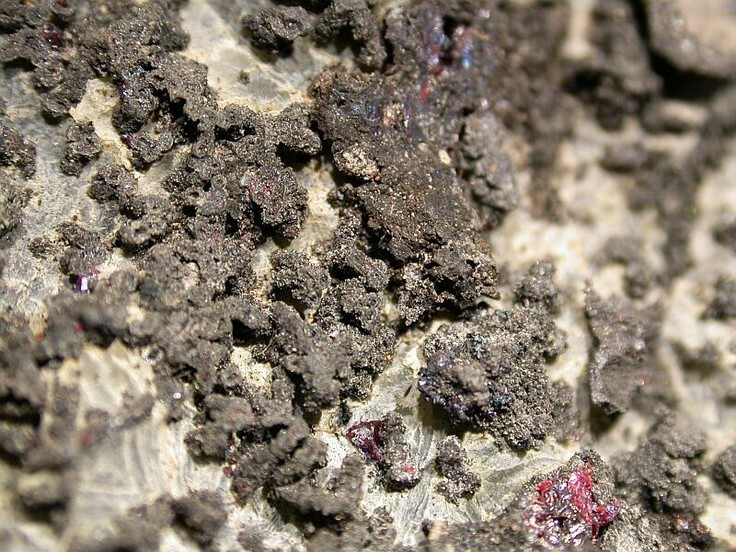 Rammelsbergite: Mineral information, data and localities. 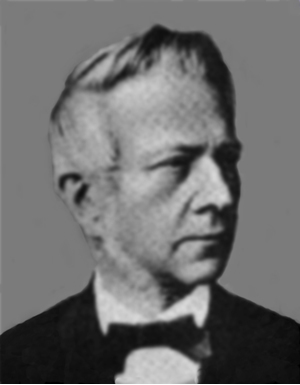 Named in 1855 by James D. Dana in honor of Karl Friedrich August Rammelsberg [April 1, 1813 Berlin, Germany (Prussia)– December 28, 1899 Gross Lichterfelde, Germany], German chemist and mineralogist who taught at University of Berlin and at the Royal Industrial Institute. He published many significant books on systematic mineralogy. 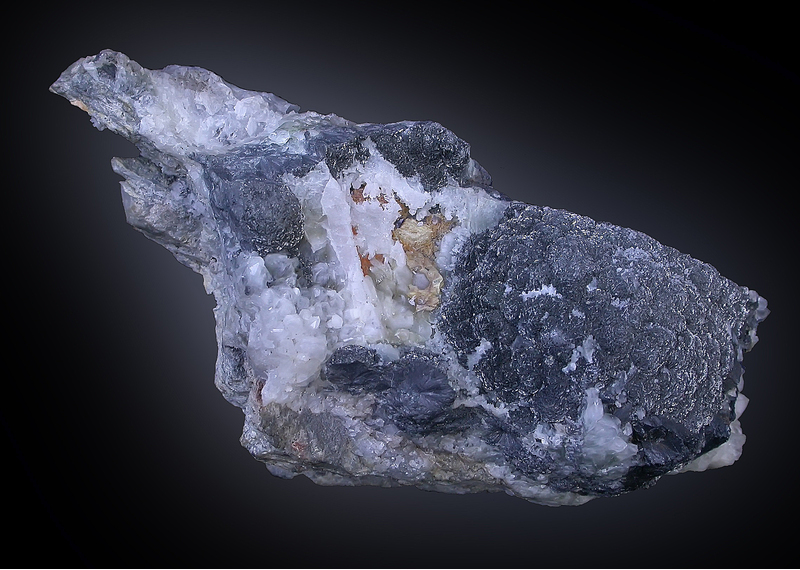 This page provides mineralogical data about Rammelsbergite. Graph shows reflectance levels at different wavelengths (in nm). Top of box is 100%. Peak reflectance is 6.0-58.2 (540 nm%. Usually massive. Prismatic crystals are rare. Nickeline 36 photos of Rammelsbergite associated with Nickeline on mindat.org. Dolomite 10 photos of Rammelsbergite associated with Dolomite on mindat.org. Annabergite 8 photos of Rammelsbergite associated with Annabergite on mindat.org. Nickelskutterudite 8 photos of Rammelsbergite associated with Nickelskutterudite on mindat.org. Pararammelsbergite 7 photos of Rammelsbergite associated with Pararammelsbergite on mindat.org. Baryte 7 photos of Rammelsbergite associated with Baryte on mindat.org. Gersdorffite 4 photos of Rammelsbergite associated with Gersdorffite on mindat.org. Domeykite 4 photos of Rammelsbergite associated with Domeykite on mindat.org. Mohawkite 3 photos of Rammelsbergite associated with Mohawkite on mindat.org. Pitchblende 3 photos of Rammelsbergite associated with Pitchblende on mindat.org. Hofmann (1832) Annalen der Physik: 25: 491. Breithaupt (1845) Annalen der Physik: 64: 184. Palache, C., Berman, H., Frondel, C. (1944) The System of Mineralogy of James Dwight Dana and Edward Salisbury Dana Yale University 1837-1892, Volume I: Elements, Sulfides, Sulfosalts, Oxides. John Wiley and Sons, Inc., New York. 7th edition, revised and enlarged: 309-310. Roseboom, E.H. (1963) Co-Ni-Fe diarsenides: Compositions and cell dimensions. American Mineralogist: 48: 271. Radcliffe, D. (1967) Some properties of rammelsbergite and pararammelsbergite. Can. Mineral. 9, 128-131. The following Rammelsbergite specimens are currently listed for sale on minfind.com. Strashimirov, S., Petrunov, R., and Kanazirski, M. (2002): Mineralium Deposita 37, 587-598.; Singer, D.A., Berger, V.I., and Moring, B.C. (2008): US Geological Survey Open-File Report 2008-1155.; Georgiev, Georgi (2008) A genetic model of the Elatsite porphyry copper deposit, Bulgaria. GEOCHEMISTRY, MINERALOGY AND PETROLOGY • SOFIA 46, 143-160. Anthony, Bideaux, Bladh, Nichols: "Handbook of Mineralogy", Vol. 1, 1990; Atanassov, V.A. and Kirov, G.N. (1973): Balkanite, Cu9Ag5HgS8, a new mineral from the Sedmochislenitsi mine, Bulgaria. American Mineralogist, 58, 11-15.; ATANASSOVA, S. THE PRESERVED MINERAL DIVERSITY OF SEDMOCHISLENITSI DEPOSIT, VRATSA ORE REGION. Sangster, D.F., Burtt, M.D., Kontak, D.J. (1998) Geology of the B baseline zone, Walton Cu-Pb-Zn-Ag-Ba deposit, Nova Scotia, Canada (in A special issue devoted to zinc-lead mineralization and basinal brine movement, lower Windsor Group (Visean), Nova Scotia, Canada). Economic Geology and the Bulletin of the Society of Economic Geologists: 93(6): 869-882. Traill R. J. (1983): Catalogue of Canadian Minerals Revised, Geological Survey of Canada, Paper 80-18, P. 262. Petruk (1971): The Silver-Arsenide Deposits of the Cobalt-Gowganda Region, Ontario. Can. Mineral. 11, 150-186; Satterly, J. (1977) A Catalogue of the Ontario Localities Represented by the Mineral Collection of the Royal Ontario Museum; Ontario Geological Survey Miscellaneous Paper MP70,464p. Annesley, I.R., Madore, C., Kusmirski, R.T., Bonli, T. (2000): Uraninite-bearing Granitic Pegmatite, Moore Lakes, Saskatchewan - Petrology and U-Th-Pb Chemical Ages: Sask. Geol. Surv. Summ. Invest. 2000; p201-211. Tartakowsky A. (1928): "Descubridora o Carrizo, Departamento de Huasco"; informe preliminar": Caja de Crédito Minero, Vallenar, Chile. Knausenberger, G. (1994): Der Erzgräber, 8 (1), 20-21. Dreyer, G. (1973) Neue Mineralien der Rheinpfalz; Mitteilungen der Pollichia, (3), 20:113-136. Billows, E. (1941) I minerali della Sardegna e i loro giacimenti. Tipografia V. Musanti, Cagliari, 167 pp. ; Stara, P., Rizzo, R., and Tanca, G.A. [with contributions of Vinci, A., and Astolfi, M.] (1996) Iglesiente e Arburese. Miniere e Minerali. Associazione Mineralogica Sarda, Associazione Mineralogica Domusnovas, Gruppo Mineralogico Arburese, Gruppo Mineralogico Paleontologico Piacentino, Gruppo Mineralogico Lombardo et al. Ed., Siena, Vol. 2, 192 pp. Matsukuma (1958) Kouzan Chishitsu, 8, 55. [MinRec 17:79]; Wilson, W. and Panczner, C., 1986, Batopilas, Mineralogical Record, v 17: 61-80. Hoehne K. 1936: Über einige Arsen-, Nickel-, Kobalt-, Silber-, Wismut- und Uranerzführende Kalkspatgänge dre Grube Bergfreiheit zu Oberschmiedeberg im Riesengebirge. Chem d. Erde Bd 10; Hoehne K. 1936: Über einige Arsen-, Nickel-, Kobalt-, Silber-, Wismut- und Uranerzführende Kalkspatgänge dre Grube Bergfreiheit zu Oberschmiedeberg im Riesengebirge. Chem d. Erde Bd 10; Econ Geol (1997) 92:468-484; Mochnacka, K., Oberc-Dziedzic, T., Mayer, W., & Pieczka, A. (2015). Ore mineralization related to geological evolution of the Karkonosze–Izera Massif (the Sudetes, Poland)—Towards a model. Ore Geology Reviews, 64, 215-238. Goryachev, N.A., Vikent’eva, O.V., Bortnikov, N.S., Prokof’ev, V.Y., Alpatov, V.A., and Golub, V.V. (2008): Geology of Ore Deposits 50(5), 362-390. Jeleň, S., Mikuš, T., & Pršek, J. (2009). Sulphosalts of cuprobismutite homologous series from Banská Hodruša and Čierna Lehota (Western Carpathians, Slovakia). Мінералогічний збірник, (2), 64-76. Stalder, H. A., Wagner, A., Graeser, S. and Stuker, P. (1998): "Mineralienlexikon der Schweiz", Wepf (Basel), p. 345. Brian Craik-Smith collection; Harrison, R.K. (1975) Bulletin of the Geological Survey of Great Britain, 52, 15.; Embrey, P.G. (1978) Fourth supplementary list of British minerals. Mineralogical Magazine, vol. 42, n° 322, 169-177.; Kemp, A.J., Palmer, M.R., and Ragnarsdottir, K.V. 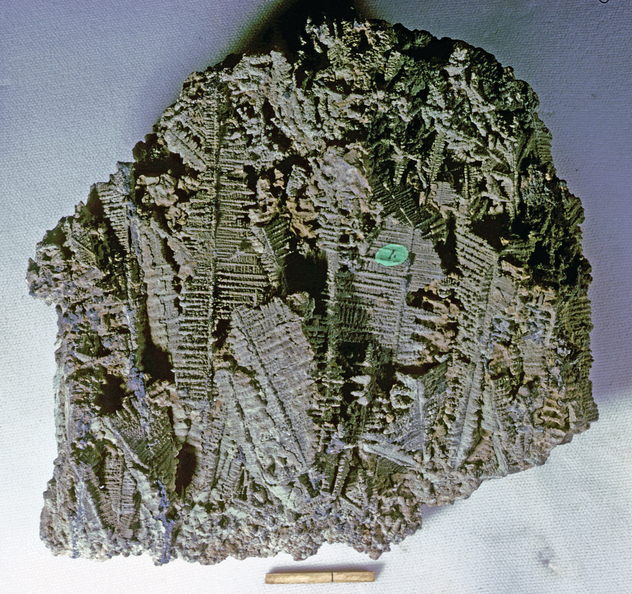 (1994) The uranium-thorium and rare earth element geochemistry of reduction nodules from Budleigh Salterton, Devon. Proceedings of the Ussher Society, Volume 8, Part 3, 214-218.; Article in the Russell Society newsletter (2000). Ixer, R.A. and Duller, P.R. (1998) Virtual atlas of opaque and ore minerals in their associations. Temple, A.K. (1954) Rammelsbergite from the Southern Uplands of Scotland. Mineralogical Magazine, vol. 30, n° 227, p. 541-543.; Livingstone, A. (2002) The Minerals of Scotland - past and present, NMS Publications Ltd.
Graeme, R. (1993), Bisbee revisited, Min.Rec. : 24: 421-436. Anthony, J.W., et al (1995), Mineralogy of Arizona, 3rd.ed. : 351; Gornitz, V. (1986), Uranium mineralization at the Orphan mine breccia pipe, Grand Canyon, AZ (abs. ), Geol. Soc. Amer. Abs. with Progs. : 18: 357; Gornitz, V. (2004), Grand Canyon Uranium: The Orphan Mine, Mineral News: 20(6): 7..
ⓘ Rifle Mine (Oriole Claims; Rifle Creek Mine; North Star Claims) ? [MinRec - 23:Michigan 68] Heinrich, E.W., and Robinson, G. W., 2004, Mineralogy of Michigan, 2nd Ed. MinRec 19:274; Oen, et al(1984): Neues Jahrbuch für Min. Abhandlungen:150:259-272; Dunn(1995):Pt4:551.